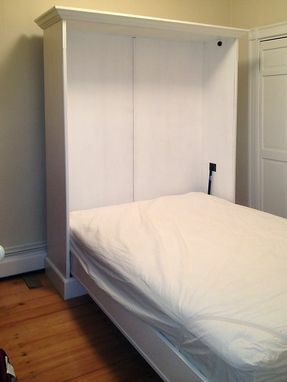 A traditional frame and panel murphy bed for full size mattress. Finished in white pigmented conversion varnish. 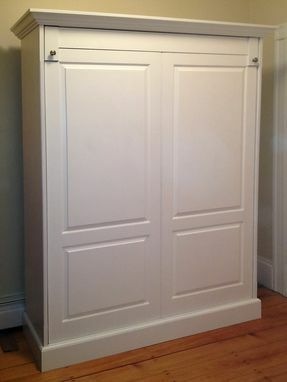 Dimensions: 58" wide, 82" high, 17" deep. 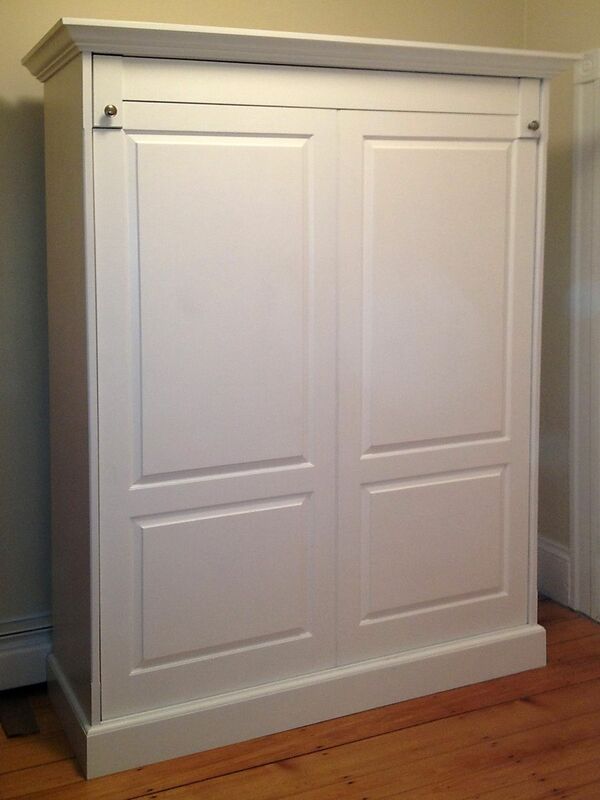 I was very happy with how the Murphy bed turned out. It exceeded my expectations. Jim also spent a lot of time making sure the installation was perfect even though it was a tight space.